Personally, some of us may be wondering whether we should delete our Facebook accounts following the Cambridge Analytica data breach scandal. But professionally, many of us rely on Facebook and other social media outlets to provide connections and communication opportunities for our marketing strategies. We all probably have a few Facebook friends who are threatening to delete their accounts—and a few may have even gone through with it. But is it really happening in droves? Are People Really Quitting Facebook? In short, the answer is no. Not really. 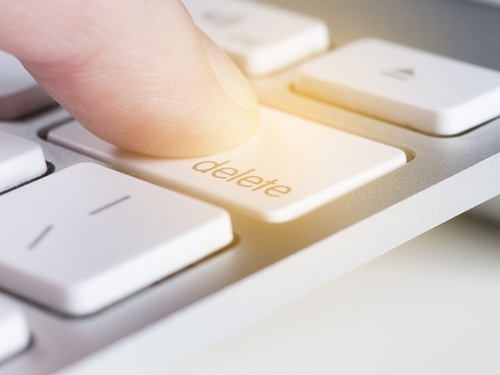 One survey conducted by iMPACT indicates that around 80% of respondents have no intention of deleting their FB accounts. For various reasons (including attachment to community, growth of business, keeping ties with long distance family, and simply using it as a chronicle of life), the majority of people surveyed plan to keep their Facebook accounts. Some celebrities and influencers have stopped using Facebook, including Jim Carrey, Will Ferrell, and Cher. While Facebook could potentially be hurt by this if it were to grow, so far these few don’t seem to indicate a massive trend of ditching the social media site even among celebrities. A survey of tech employees by Blind, revealed that just over 30% of them might delete Facebook. But many of them also realize that the app is useful for personal as well as business purposes. Plus, they are aware that their data is probably being collected other places—most people realize that Facebook likely isn’t the only one. Some brands are also quitting their Facebook advertising, presumably due to the data breach. Mozilla says they’re “taking a break” from Facebook. Elon Musk has deleted pages for SpaceX and Tesla, citing Facebook as “insignificant”. But the companies kept their pages for Instagram, which are owned by Facebook—so does that even count? What Does the Future of Facebook Look Like? Boycotts are only effective if they create enough damage to hit the financial bottom line. And with more than 2 billion users around the world, that’s unlikely to happen. Unless there’s another viable social media option, or if advertisers start to leave in droves, a handful of boycotting individuals isn’t really likely to hurt the company. If your business is already using Facebook, dropping it like a hot potato is probably not the best way to go about righting a wrong that has already been done. Of course, using caution is always advisable. What are you using Facebook for? If Facebook is only for making new connections through use of its data, then some of the new restrictions may hurt your business. But if you use it to draw qualified leads into your funnel and provide them with valuable information or services, then carry on. Are you vigilant in your data analysis? Keep an eye on the way your strategy is working—and be prepared to respond intelligently. Generating leads might be a bit more difficult through Facebook now, but still not impossible. How are you building trust with current customers? Evaluate your communication efforts so that you have broad options in the way you can connect beyond Facebook. Facebook is currently in the throes of reworking its data sharing and privacy policies. Some people think this is ‘too-little, too-late’ and are ready to delete. But the majority of the public seems to be avoiding knee-jerk reactions. No one knows exactly what will happen with Facebook until new information is released related to user statistics. Until then, most of us will probably just wait-and-see.